Paper clutter and the day-to-day items we all use are often the easiest things to get jumbled, misplaced or cluttered. In old houses that have little storage or updates, it becomes an even bigger challenge. 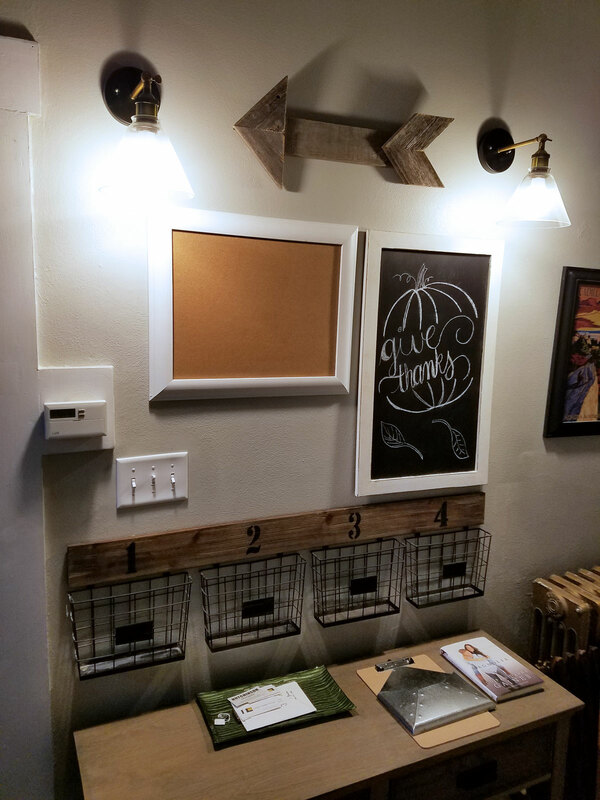 Creating spaces to manage the clutter and stay organized are essential and a conveniently located command center in our entry hall is just what we needed to start getting a handle on our daily clutter! I’m not good with dealing with all the paper clutter. I also hate that for as long as we have lived here, our drop zone is in our very small, already cluttered kitchen. The drop zone is a constant eye sore and with a major kitchen reno in our future, I have been wanting to start getting used to a new drop area and force B and I to do a better job and handling the clutter before it gets out of control. Our Entry hall is our main traffic area. Even though we almost never use our front door, it’s kind of the most centralized place in the entire house. 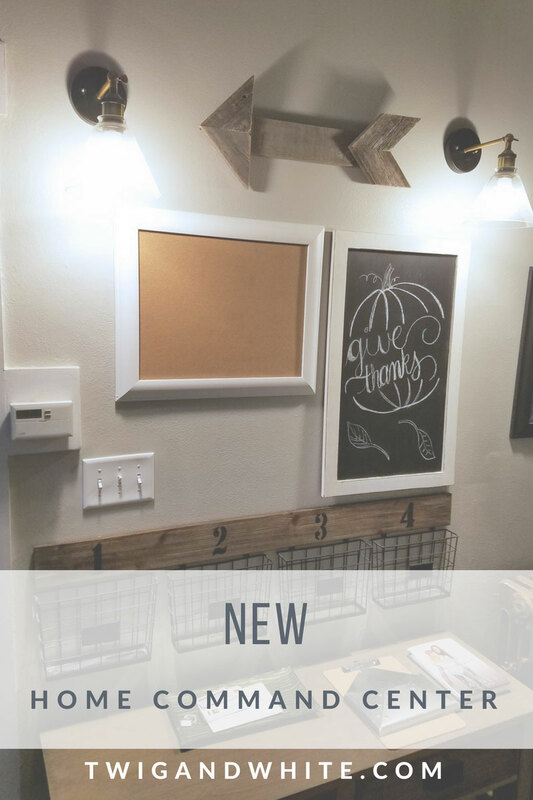 Being near our coat closet and hooks, it makes sense to have our “drop zone” here but because it’s visible from the shop, our family room and entry, it also has to be attractive. I’ve had a vision in my head for months but despite hours of searching, I haven’t been able to find the perfect pieces to create the perfect home command center. This past weekend, I pulled together some decor items we haven’t been using to try to put something together. What I ended up with isn’t bad and B actually said he really likes how it looks so I’ll take that as a good start. In time, I’d love to eventually have a bit more color here but for now, I’ve created a home command center to drop or keys, hang our bags and organize all the paper clutter. It’s a work in progress and I need to style the table top but these things don’t always happen all at once. I’d love some input from you. Have you created some kind of home command center in your home? What were key elements you knew you had to have? Do you have any favorite elements from your command center you’d recommend to others?